Blogging Doesn’t Just Help To Build Business Leads: It Helps Your Business Gain Credibility. Posted on 24th October 2011 at 11:41. Is your business stuck in a bit of a rut? Do you want to attract new customers, and build on the existing relationships you already have? Well, if you believe all the hype, then using the social media is the only way to go. Using Facebook, Twitter and even LinkedIn will help you build a bond with your target audience and become an essential part of the online community. Well, that’s the theory anyway. If it sounds a little far-fetched or too good to be true, then your scepticism may have some grounds and justification. According to the latest survey from RSW/US and RSW/Agency search you should be targeting your resources on blogging. Statistically, article marketing is proven to be the best way of inbound marketing, and will help you to build not only backlinks but also tempt new customers. So, can this really be true? Is blogging the best bet for your business? What the RSW survey reported is that blogging is the most valuable means of competing online, and is proven to be invaluable for attracting new business. The 2011 New Business Report concluded that article marketing was the most cost-effective method of appealing to new customers polling 27 percent of the total vote. Weekly or monthly email newsletters attracted 23%, LinkedIn 20%, Facebook 17% and Twitter a lowly 1%. Now that might come as a surprise, but there is a logic to it. A business blog is invaluable. It gives you the chance to promote your business, brings you to the attention of others and helps you connect with your target audience. There isn’t really a better way of keeping your profile in the spotlight: as the RSW statistics clearly show. Blogging, obviously, isn’t an end in itself, but it’s one of a number of measures to consider when you’re trying to optimise your website. Releasing new material on a weekly or daily business will bring your website to the attention of search engines. The more you write, the likelier it is that search engines will look out for it. Every successful and prominent website releases new content as frequently as possible with the intention of increasing their business ranking on the search engines. Ok, so it won’t guarantee your business will top the Google rankings, but it might just give it a shove in the right direction. Why are internet marketing blogs so effective? The search engines like them. Search engines appreciate blogs because they keep sites vibrant and alive. Google wants fresh and relevant content, so if you provide this you can’t really go wrong. The only possible stumbling block is the quality of the content itself. It’s no good just rehashing everything on your existing website and trying the hard sell: it’s also no use just writing any old rubbish just to keep things ticking over. Search engines don’t look favourably on sites that provide poor quality blogs: they much prefer articles that inform and advise and give readers a different perspective. It might seem like a lot of bother for a rather intangible reward, bit it is worth it in the long run, believe me. 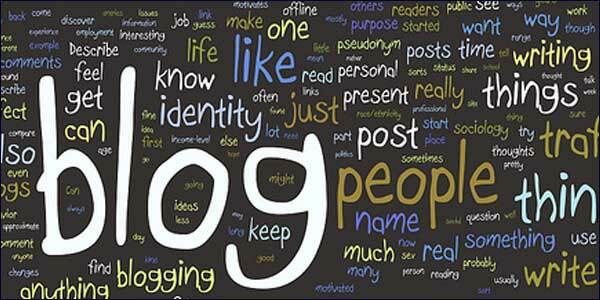 Quality blogging will improve search engine ranking and therefore attract new traffic. Writing regular business blogs can be beneficial for all businesses. They will attract readers with shared interests and can help build a sense of awareness and brand-loyalty. Everybody likes to feel they’re getting something for nothing: when you blog you’re providing free information for your customers and they will appreciate this. The articles obviously need to be relevant to your particular line of business, but don’t let that restrict you unnecessarily. If you want to go off on a tangent occasionally, then go for it: variety is the spice of life after all. Blogs make your marketing more effective and targeted. Nobody really appreciates the hard sell approach adopted by some companies. These aggressive tactics can be very irritating and often turn prospective customers away. Article marketing can be more effective than in-your-face marketing for selling products and services. You might wonder why, but really there’s no great secret to it. The readers you share your articles with are generally brand loyal and interested in what you’re saying, so you know you’re targeting the right audience: they’re also far more subtle. They allow you to peddle your wares without being obvious, by drawing the reader in. They’re useful tools for providing customer feedback and service. Internet businesses are heavily reliant on customer loyalty, so they need to build a relationship with these customers. The best way to do this is by establishing a two-way conversation with your followers and making them part of the overall experience. If customers feel that you and they are in it together, they’re much more likely to stay loyal. Customers are also in the best position to tell you what’s good about your business, and what isn’t. Therefore it makes sense to involve them as much as possible. Let them comment on your blogs and ask them be your own focus group to test and research new ideas and products: if there’s a problem with what you do, listen to the feedback and respond through your blog. By involving customers in the whole experience, you will make them feel special and that must surely be good for business. Google Plans To Encrypt Search Data – Privacy Or Profit, Which Comes First?Bing Looks To Quality Content For Search Engine Ranking.